Relax and enjoy comfort surrounded by the timeless beauty of Cooperstown and Otsego Lake. Guest rooms suites and cottages are individually appointed non-smoking with personal attention paid to every detail amidst a charming country atmosphere. 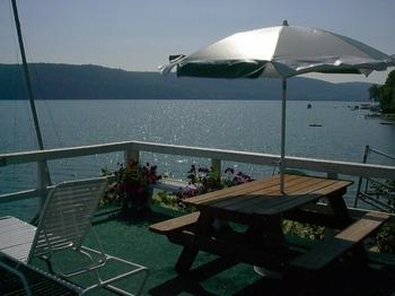 Capture the breathtaking views of Otsego Lake while enjoying our lake front which offers swimming fishing paddle boats or just relaxing on the sun deck. Conveniently located with easy access to the Baseball Hall of Fame Dreams Park Doubleday Field Glimmer glass Opera and many other local attractions. ONE NIGHT DEPOSIT IS REQUIRED AT TIME OF BOOKING.